Hazy lazy days of summer! We are struggling to stay focused here. 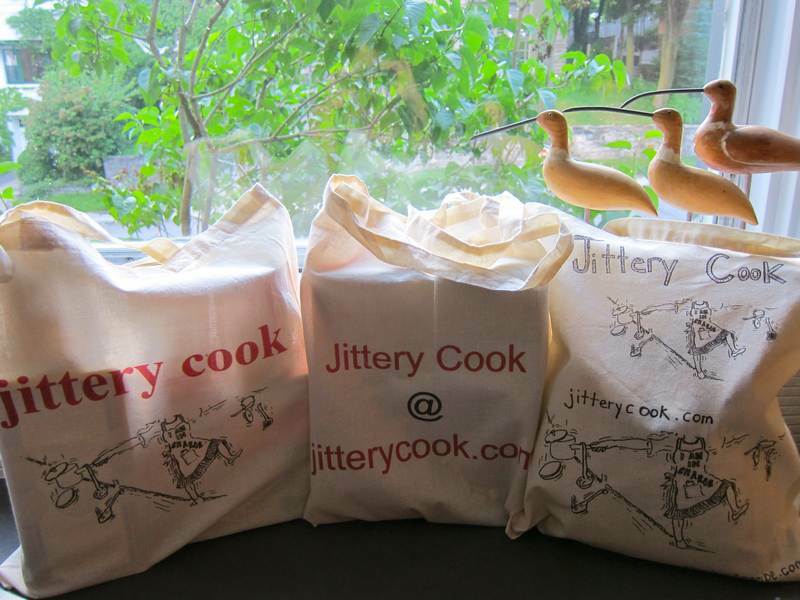 The outdoors beckons, and food prep is far from even the back burner. Enjoy this refreshing salad, chock full of protein and ready in a jiffy. If you buy whole edamame, just boil them for 4-5 minutes until tender, then you can sit outside to shell them in the warm breeze. They are also sold already shelled. 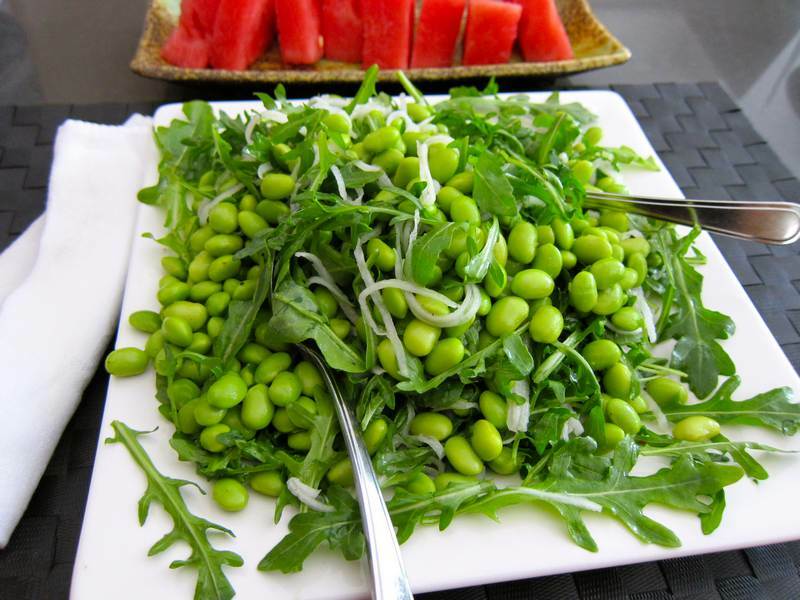 Toss the edamame, vinegar, oil, salt, pepper, daikon and arugula together in a large bowl. Adjust seasoning to taste. Serves 8. Looking for a healthy pasta alternative? Here are 10. Have you heard about molecular cuisine? Care to watch a 2 minute video on cooking sweetcorn effortlessly? I love that color! Green green green.